I was sitting in a dark and quiet street of San Salvador at 3:45 in the morning, waiting for the 5am bus coming from Mexico. Just me and my friend and a bunch of fellow backpackers filling out immigration papers, left in the empty streets of a big city in the middle of the night. Gotta love adventures! It was a long ride crossing 3 countries in one day. I really wished we had the time to stop in Honduras but unfortunately it will have to wait until next time. However, we still managed to get the country’s stamp in our passport. 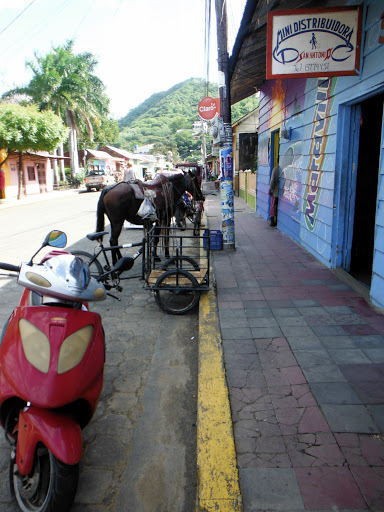 20 hours and 3 Latin American countries later, we arrived at Grenada where we set up camp at Hostel Oasis for the night. 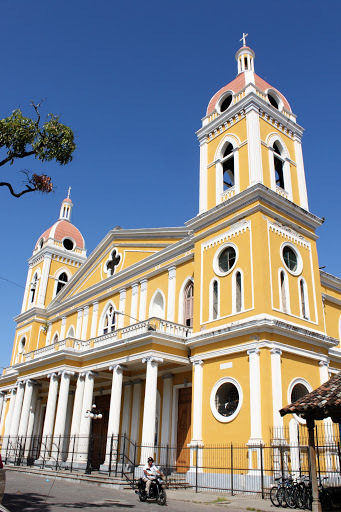 Known has one of the country’s most populous city, Granada has a rich colonial heritage seen in its amazing architecture and stunning structures and is indeed a stop not to be missed. 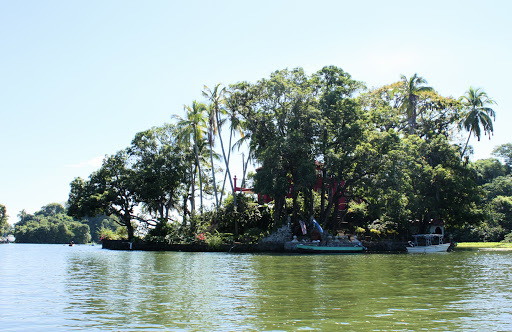 We boat toured around Las Isletas, an average of 350 small islands formed about 10,000 years ago by the eruption of the Mombacho volcano. We passed by the private island of the owner of Flor de Cana and many other rich business owners. Local families were taking care of the glorious houses and properties. 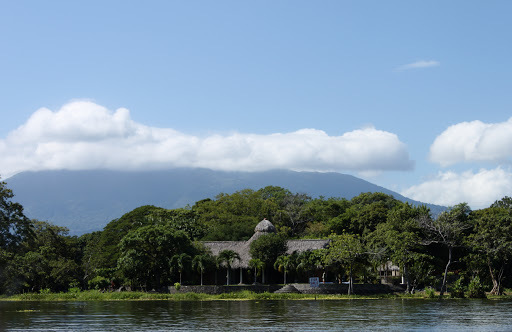 We skipped swimming in the lake to avoid getting bit by the Nicaraguan sharks that once salmoned their way up the rivers while the ocean still connected to the lake. Although their numbers dropped down after a Japanese company killed a large number of them, the presence of the predators is still there. Diving with sharks in the clear waters of the Caribbean? Hell yeah. But swimming at the surface of a murky lake with sharks roaming underneath? Hell no! 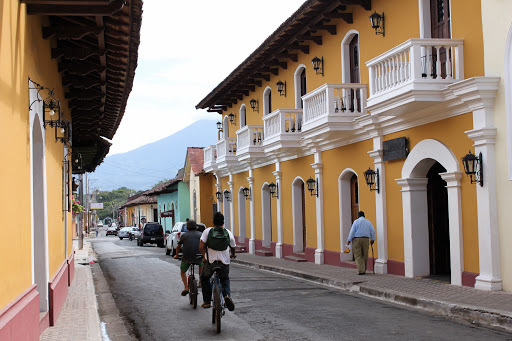 After exploring the lake of Nicaragua and wandering around the old streets of Granada, we jumped aboard the Big Foot service shuttle on our way to the Pacific Coast. We got to San Juan at night and luckily found an amazing room facing the beach. Casa El Delfin, double occ. 20$/night. Great and safe! 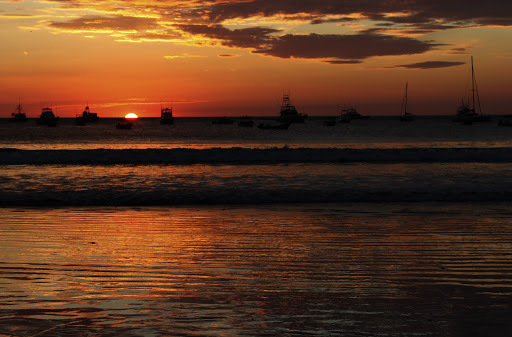 As most tourist towns, it is likely not recommended to walk around the beaches at night solo. Keep your valuables at the hostel. Try to blend with locals. Sticking out of the crowd shirtless, loud and with a wallet sticking out of your back pocket is definitely looking out for problemos. So careful gringos! The bay of San Juan is full of restaurants lined up on the beach. A predominant number of backpackers and surfers are found in the many hostels spread all over the streets. We could sight a few cruise shippers shopping around for souvenirs while visiting the town for a day. If you are looking for a lively place at night to meet fellow young at heart travelers, it is a good place to do so. 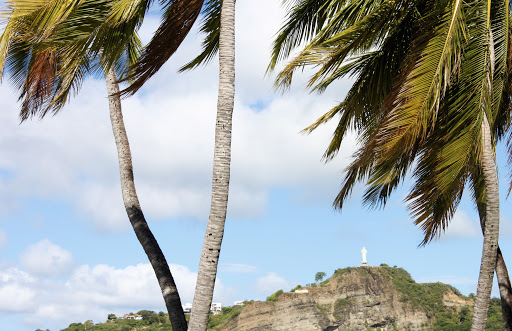 Although no surf is found at San Juan itself, many shuttles run several times a day to beaches nearby. One morning we decided to climb to the statue of the Christ, standing strong and tall on a steep hill overlooking the horseshoe bay of SJDS. The hike is recommended in the morning or just before sunset and don’t forget to bring your 2$ or you will be denied the access. After exploring the dynamic streets of San Juan we packed our bags and drove 20 min north on a dirt road to Playa Maderas. Blond sand beach and refreshing ocean waters. 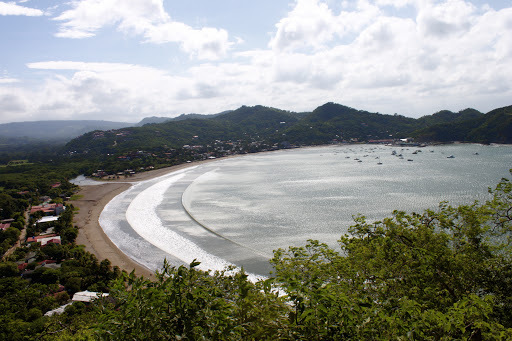 Playa Maderas is known as one of the best surf’s spot in Nicaragua offering waves both for beginners and experts. We beached on the sand, watching surfers playing out at sea. Buses came and go dropping thirsty surfers and picking up tired and satisfied boarders. For the last few days of our trip, we chose to stay at one place and just chill. 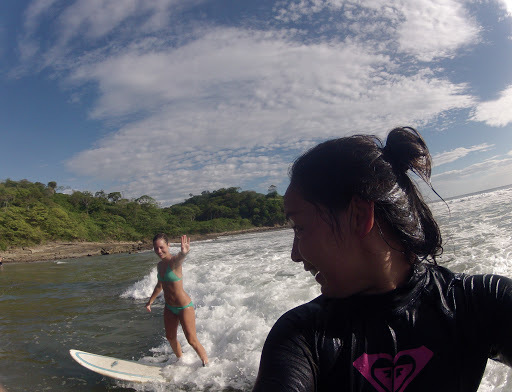 So we stayed at Casa Maderas Ecolodge located only 10min walk from the surf break. 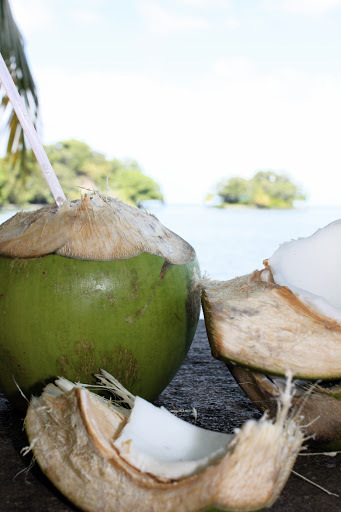 Free Nicaraguan breakfasts, free shuttle to beach and town, wifi, happy hour by the swimming pool. That’s a vacation! Morning surf. Jellyfish stings. Happy Hour by the pool. 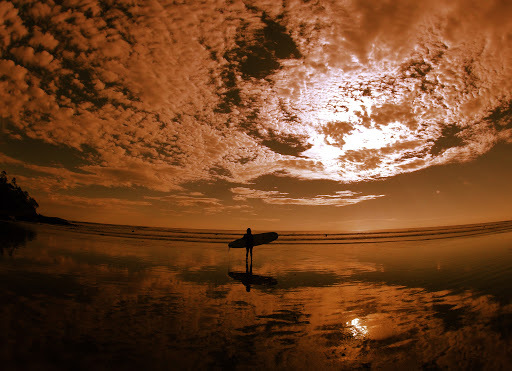 Sunset surf session. Rum punches. Lobster tails. Fried cheese and plaintain chips. Vino blanco. More vino blanco. Just another day in paradise. November 7th, 2012. 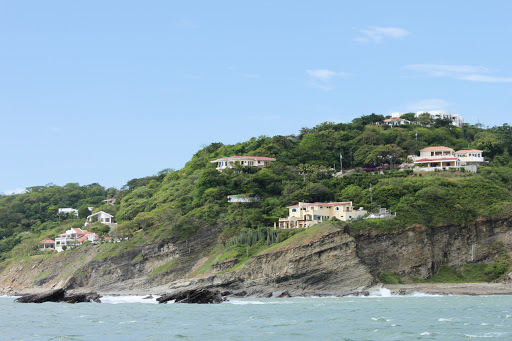 A 7.4 magnitude earthquake struck off the Pacific Coast of Guatemala provoking strong currents and a rise of the tides. A tsunami warning has been placed in Nicaragua. The sea was angry and the waves crashed from everywhere. Daring surfers took the risks and rode the big swells. Even though the warning only lasted a day, the waves were still pretty big and didn’t really agree with my level of surfing. 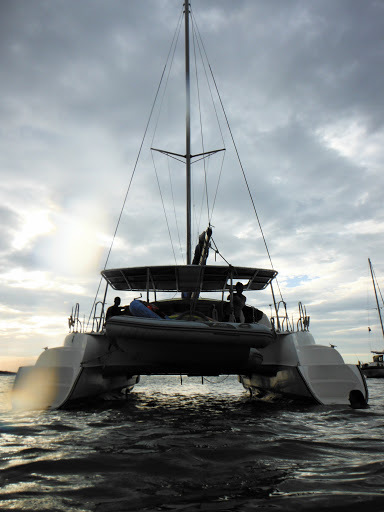 It was almost the end of our Central American trip so we decided to treat ourselves with a day out at sea sailing. 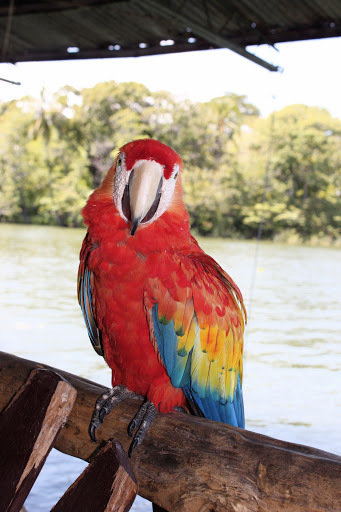 We booked with Nica Sail and Surf through Casa Oro for an afternoon on the waters. 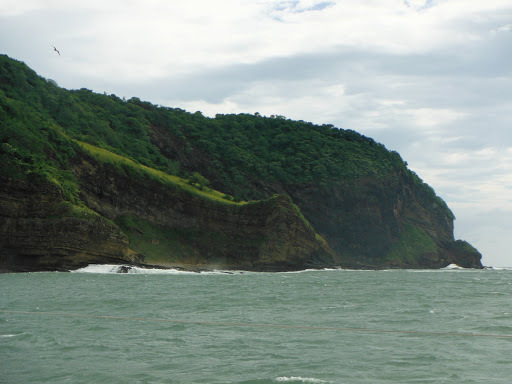 Captain Zach and his crew sailed us along the Southern Nicaraguan coast where we admired beautiful landscapes. 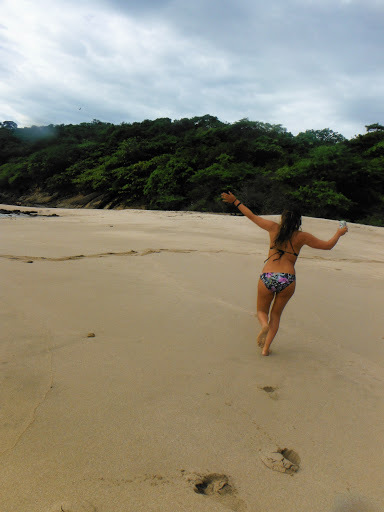 We anchored at a secluded bay and played Robinson Crusoe on a deserted island. Rum punches were flowing, faces smiling. 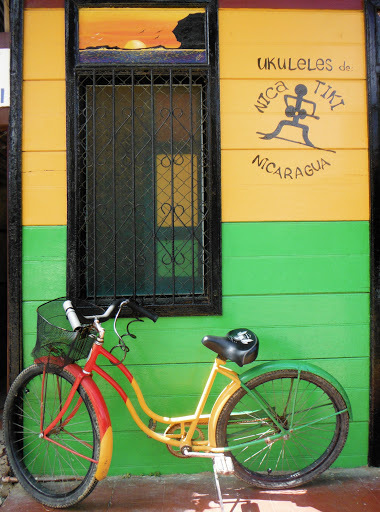 I laid on a hammock hanging on the porch of my colourful bungalow, in the heart of a Nicaraguan jungle. A man scratched his guitar while the monkeys howled. The clouds moved fast in the sky, like everyday of this journey. The moment was real and I embraced every second of it. I come to think about the adventures that I just experienced, the people I met and the inspiration that I gained. Time to get back home to work, to the responsibilities, to the routine. Go back and fill up my pockets so I can go out there once again. We hopped on a chicken bus and made our way to Managua where we stayed in a guesthouse for the night. We found a food stall where I spent my last currency with the best meal of my trip: potato cake, fried cheese, rice and beans, huge slices of avocados and a freshly squeezed guava juice. Simply the best. Belly full, well-rested, memories made and pictures to share, it is time to fly home.